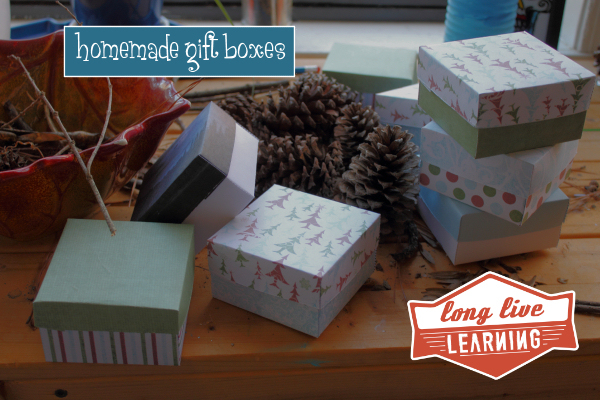 Make your own small gift boxes using cardstock & this printable template. This template is blank, so you can decorate the outside by painting, drawing, or stamping it. But, it’s really just a template so you can learn how to do this. After you get the hang of it, you can print out any pretty pattern on your cardstock and make a gift box using that! Below, you’ll find the blank practice template and under that… a couple patterns for holiday boxes. <– click the little black box on the far left to open in a new window and print. Just follow the instructions on the template!